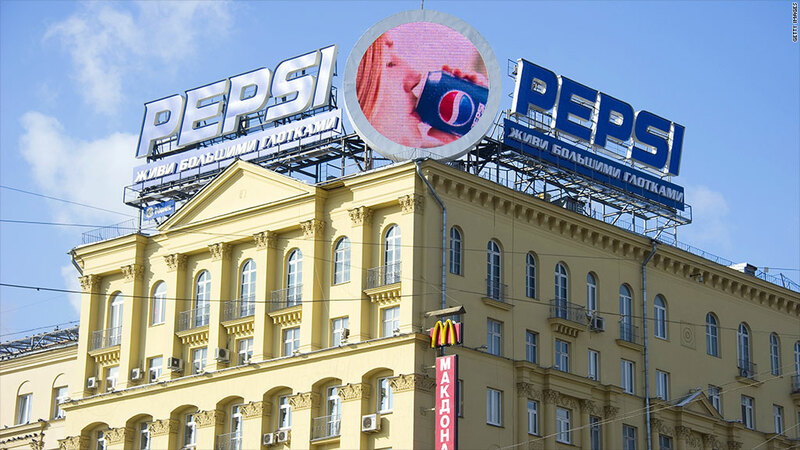 McDonald's and Pepsi both have a major presence in Russia. Companies lured to Russia in recent decades by the promise of economic development are now reeling as investors consider the prospect of wider military action and economic sanctions. Once largely closed to the outside world, the opening of Russian markets since the breakup of the Soviet Union has attracted a wide range of global companies, especially in the energy, manufacturing and consumer goods sectors. McDonald's (MCD), for example, has more than 400 stores in Russia and an additional 73 in Ukraine. PepsiCo (PEP) is another U.S.-based company with substantial operations in Russia, having spent almost $4 billion earlier this decade to acquire a local dairy products and baby food firm. Shares of McDonald's and Pepsi were down around 1% Monday. Other companies, especially in the energy sector, were harder hit. Russia is one of the world's largest energy producers, feeding much of Europe's demand. BP (BP) shares were down 2% in London trading. The U.K.-based company holds a significant stake in state oil company Rosneft, which shed 5% Monday in Moscow trading. Shares of Royal Dutch Shell (RDSA), which is searching for shale gas in Ukraine's Yuzivska field, were down more than 1% after suffering a steeper plunge at the start of trading. Fortum, the Finnish utility and energy firm, lost 3.5% amid worries over its extensive operations in Russia. Exxon Mobil (XOM), which also has operations in Russia, largely escaped the wrath of investors, with shares losing nearly 1.0% amid a broad sell-off in the U.S.
A smattering of companies, most based in Europe, were not as lucky. Denmark-based Carlsberg Group boasts 10 breweries in Russia and a whopping 39% market share in the country. Shares were down more than 5%. In the auto industry, Renault-Nissan is among the most exposed to Russia risk. The company has a tie-up with AvtoVAZ, a major player in the Russian auto market. Western countries are discussing ways to punish Russia, including sanctions that could damage trade and foreign investment. The U.S. could be among the first to act. 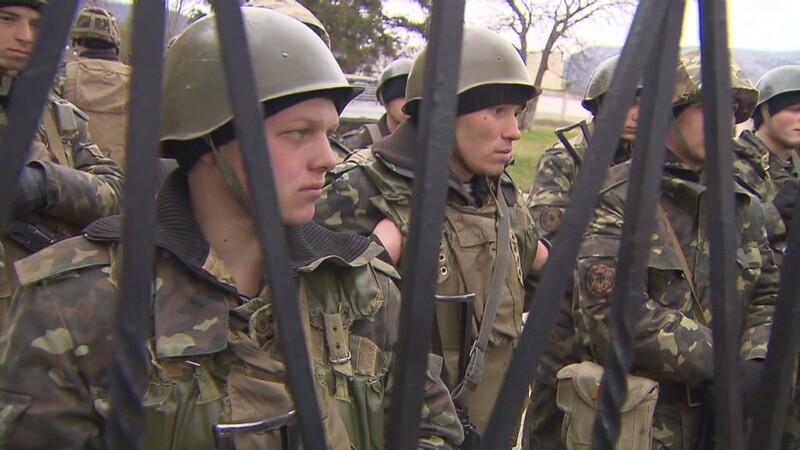 State Department spokeswoman Jen Psaki said Monday that the administration is currently preparing sanctions, but no final decision had been made on implementation.